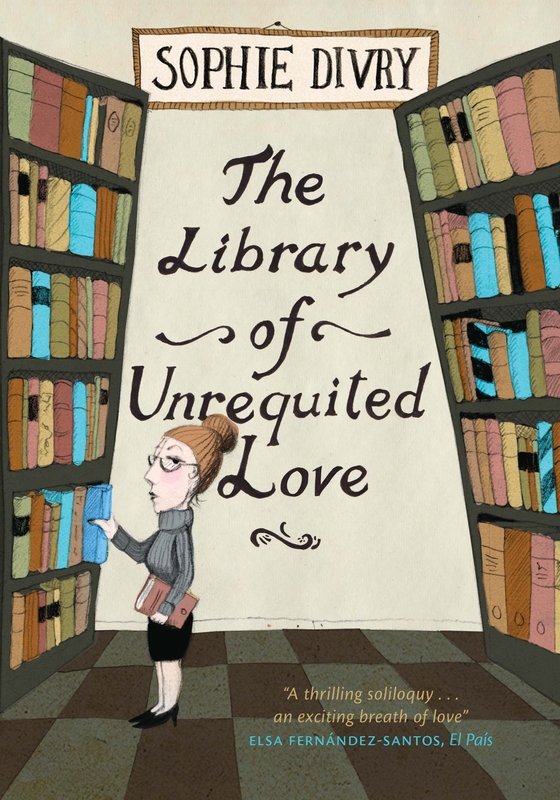 Immured in her gloomy basement, presiding over the low status geography books, racked with longing for a lover, the unnamed librarian in this extended monologue is going quietly mad. One morning she turns up for work carrying her usual burdens of disappointment, anger and frustration and finds that a library customer has spent the night locked in the library and is fast asleep on the floor between two book cases. Something about this prisoner sends the librarian into overdrive. Clearly she never has anyone to talk to (or rather, talk at) and now she has a captive, someone who can’t leave until the doors are officially opened to the public. Her rant starts with the iniquities of the Dewey system for categorizing books, roams through French culture and the class war, and finally lands on love, or what passes for love in her distorted perspective. She is obsessed with a student, much younger than herself, who uses the library and who once asked her to turn on an extra light. Her lust is centred on the back of his neck. We can be absolutely sure that he isn’t interested in her, has barely noticed her. Gradually we learn that she is paranoid, obsessive and incapable of forming relationships. Has being a librarian driven her mad or did she bring her madness to the library? 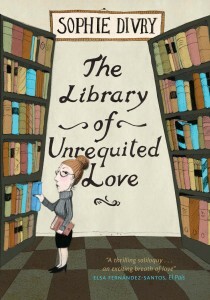 She loves books and hates them in the same breath (another unrequited love?). She constantly contradicts herself and makes wilder and wilder assertions. Nothing else happens. Eventually the doors are opened, her customer is free to go, the diatribe is over. With National Libraries Day falling on 9 February this year the character raises some timely questions. If we use libraries, are we as she claims the ‘captives of culture’? Is it true that ‘culture isn’t the same thing as pleasure’? Do books release you from a tedious life, or overwhelm you by their sheer numbers? She doesn’t have any answers, or rather, she has a series of answers, each one different from the one before. Sophie Divry’s next book should be interesting. She has an Anita Brooknerish way with character and a subtle way of revealing the dark depths. However I’d say she needs to think about plot. If a character is challenged, responds, and changes in some way, then there is a plot. The librarian however reveals herself, and then stops. I wanted more. And I was increasingly curious about the listener. Why did he (or perhaps she) stand for it? Why not just bolt upstairs and wait by the locked doors? Why stay put and tolerate the rant? Novelists don’t have to answer all the questions they pose, but Divry doesn’t answer any. Like the librarian in her claustrophobic basement, the reader really has nowhere to go.